Letterbox is an Indigenous children's television game show that focuses on education through entertainment. 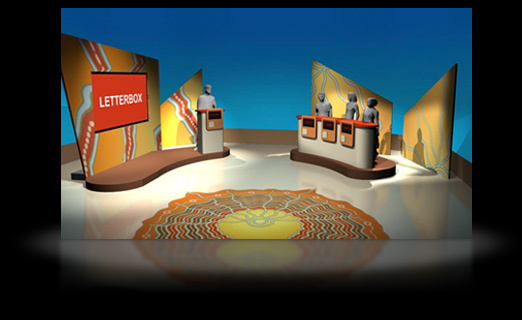 Scheduled to go to air nationally in June 2009, the show provides a fun and exciting environment for Indigenous contestants to improve their literacy skills. An important part of the program is an Indigenous language segment called Wananga-Li, which focuses on indigenous languages and culture from different regions throughout Australia. Brisbane-based Aboriginal multimedia production company Carbon Media (link), executive producers of Letterbox, has used the latest in online computer gaming technologies to bring the game show to life. Gilimbaa has worked closely with Carbon Media to create the set design, music sound tracks and voice-overs. Gilimbaa has worked closely with Carbon Media to provide the artwork, music sound tracks and voice overs. Iceworks Design have masterfully designed and constructed the television set allowing the Indigenous artwork to come to life. 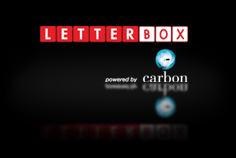 Carbon Media, Gilimbaa, and the Letterbox team are pleased to be a part of this innovative game show, which is a first in Australian television.